All of the JEGS Cat-Back Exhaust Systems for Chevy are built using fully aluminized 16-gauge mandrel bent tubing and designed as direct fit for an easy bolt-on installation. 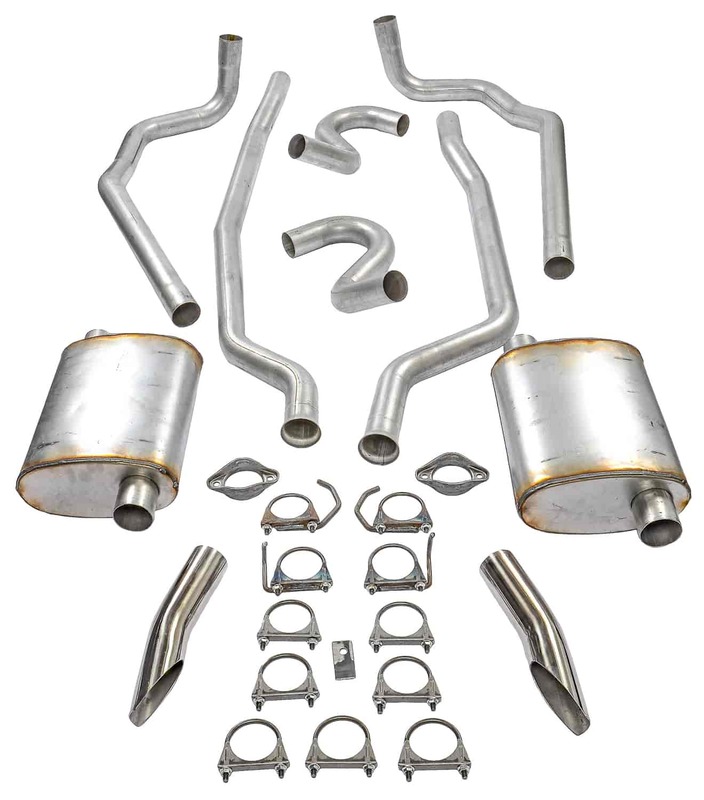 All kits include turbo mufflers, hangers, clamps and hardware. Does JEGS 30410 fit your vehicle? 30410 is rated 4.5 out of 5 by 4. Rated 5 out of 5 by Hi555 from This is a really nice product for the price Just had this system installed professionally at a local exhaust/fabrication shop. The shop owner (31 years experience) was impressed with the quality and ease of installation and the fact that the whole system was mandrel bent. Instead of using the included clamps he welded all the joints which makes for a tighter system . The system sounds great with almost no drone at highway speeds, mellow tone at part throttle and deep muscle car sound at WOT. Jegs, you've done a great job with this one !! Rated 5 out of 5 by fixitman from better than i expected i recently had this exhaust put on my Roadmaster wagon, the only mod needed was to remove a trailer hitch i don't use. It looks and sounds great, plus she has more pep! Can't beat the price either. Rated 4 out of 5 by Joseph4577 from Good fit and finish Installed on a Saturday with minor expected modifications. As a note The tail pipes must be welded after the rear end.